Welcome to Thank You Magazine - Monash University's magazine to recognise our donor community. 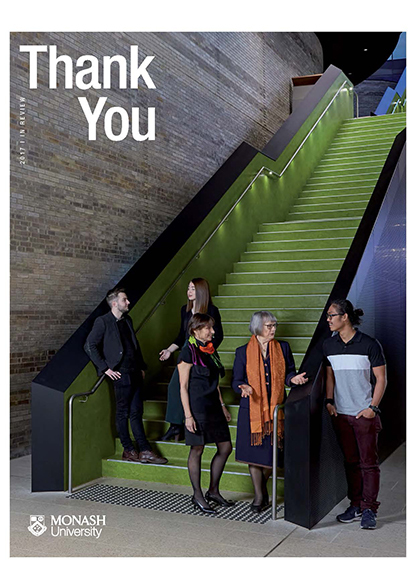 Published once a year, Thank You is our way of acknowledging the many individuals and organisations who have generously dedicated their time, skills and resources to support Monash University and our students. Monash was established for the benefit of the community, and the stories represent the remarkable ways your gifts to Monash have transformed the lives of our students, our communities and our environment. Read the latest edition online (PDF, 5.31 MB).